Material characterization of polymeric materials: e.g. quantitative analysis of the composition of multi-layer foils or identification of the components of blends. Quality control of polymer products: e.g. investigation of the causes leading to customer complaints. Determination of cross-linking and quantitative analysis of the degree of cross-linking of thermosets: e.g. 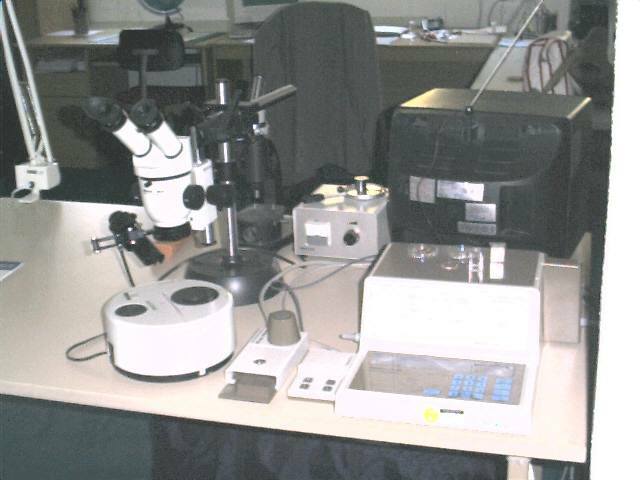 quantitative analysis of curing of epoxy resins and lacquer. Quantitative purity analysis: e.g. from pharmaceutical products and drugs. Determination of the glass temperature: e.g. to characterize the temperature range of operation of materials. Characterization of foods: e.g. thermal degradation with heating or determination of energy content. Detection of slow chemical reactions: e.g. quantitative analysis of the spontaneous discharge of batteries during storage. For all these examples there are already reliable experiences and we were able to help our clients successfully.